It takes John Kraemer about two hours to finish an asthma home assessment. He interviews the family, checks each room for allergens and records air quality data with a particulate counter. By identifying potential triggers for a patient’s asthma in their home, Kraemer said he keeps patients healthier and away from the emergency room. 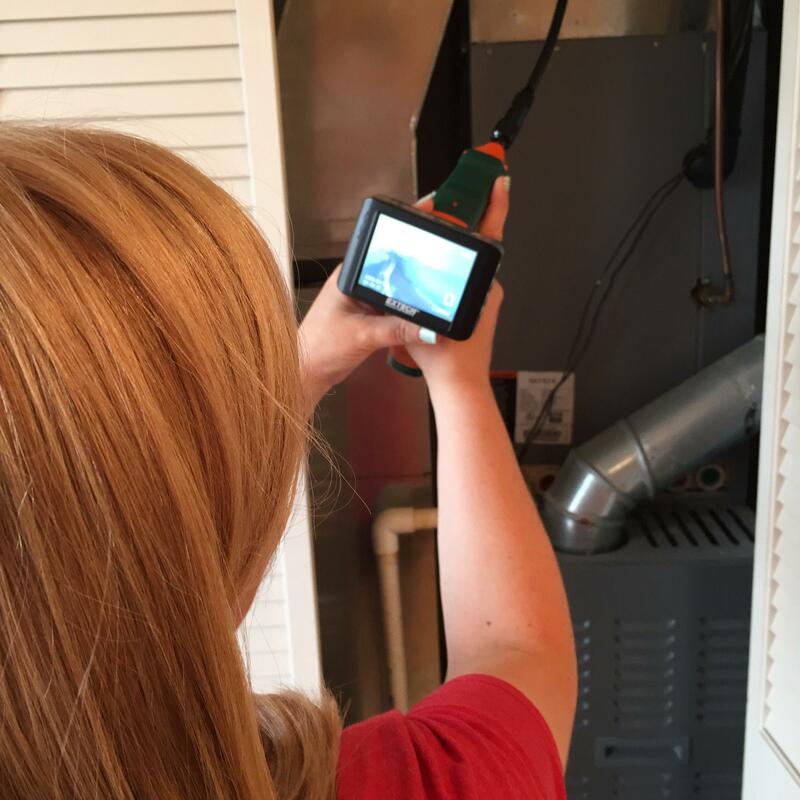 An asthma field inspector checks a heating and air conditioning system during a home assessment. Kraemer is an environmental science professor who runs the Institute for Environmental Health Assessment & Patient Centered Outcomes out of Cape Girardeau. The organization conducts assessments for about 100 Missourians each year, charging about $204 for people who pay out-of-pocket. Kraemer said, the benefit of the assessment is worth the cost. “For our folks who participate in the program, the return rates to the ER have been about 13 per 100," he said. By comparison, people in his program who didn't get an assessment returned to the emergency room at a rate of about 92 per 100 people. Companies like Kraemer’s are about to get busier. The Missouri legislature appropriated $400,000 for additional asthma care for children covered by the state’s Medicaid program for the new fiscal year which starts today. Details for the asthma program are still being finalized, according to the Department of Social Services, but home assessments for children with severe asthma will likely take a central role. In the past, home assessments were paid out-of-pocket by patients’ families, or by local governments and organizations that received grants. The city of St. Louis’ Health Department received one such grant from the Missouri Foundation for Health three years ago. Today, about 30 home environment assessments are conducted annually by city employees. Patients and their parents are often referred to the program by a federally qualified health center. “We teach them about their homes, and how to modify it to improve their asthma. They have a good buy-in, they know that they matter and that the education’s going to help them keep their children in school, keep them out of the emergency room,” said Mary Hawkins, a public health nurse who supervises the city's program. Public health nurse Mary Hawkins teaches children about asthma triggers at a childcare facility in St. Louis. In 2008, the asthma rate among children in the city of St. Louis was almost 20 percent, and 14 percent in the overall metro region, the Missouri Department of Health reported. The hospitalization rate for children in the city was 58 per 10,000, almost three times the state’s rate. Because asthma can be exacerbated by poor air quality or dust, rodents or other allergens in a home, it affects children who live in poverty at significantly higher rates. In Missouri, children can qualify for Medicaid coverage if their household’s income is up to 300 percent of the federal poverty level, or about $60,000 for a family of three. To qualify for a home assessment, children with severe asthma—such as those who require hospitalization two or more times a year—would have to be referred to the service by a physician. 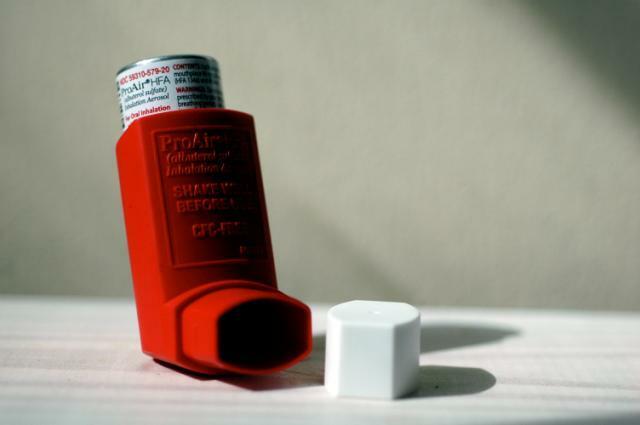 The St. Louis chapter of the Asthma and Allergy Foundation of America, which campaigned heavily for the measure, has been in talks with the state to determine the parameters of the new program, said executive director Joy Krieger. “We estimate that 5,000 children in state of Missouri who are recognized right now as being high risk will need these services,” Krieger said. Krieger’s organization completed more than a dozen assessments last year, and plans to set up a system where patients will receive a follow-up visit and additional asthma coaching over the phone. 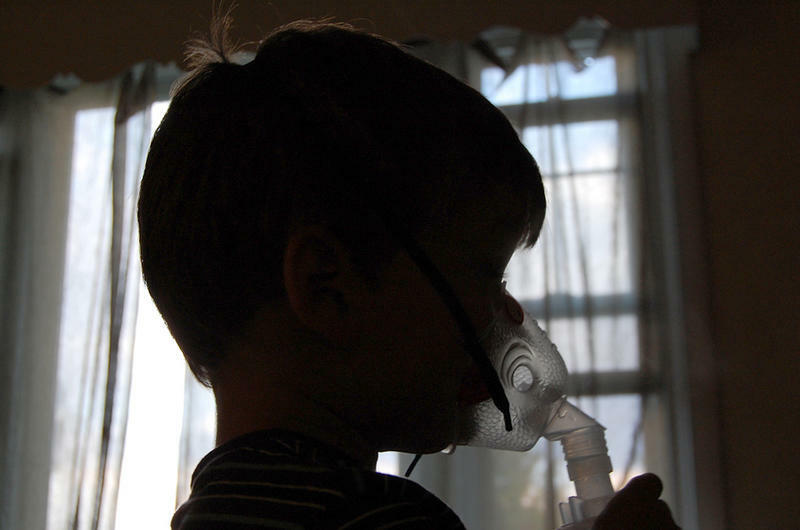 After making home visits a covered service under Medicaid, Krieger said her organization will continue lobbying to make the home assessments accessible for all children with asthma. “Private insurance is our next step. We need commercial carriers to understand this,” Krieger said. The Missouri state budget goes into effect July 1. The St. Louis County Department of Health will receive $30,000 for asthma education and outreach in the Normandy School District. The grant from the Environmental Protection Agency is part of $1.2 million in funding to 32 state and local governments, tribes, and non-profit organizations for indoor air quality projects. Missouri is on the verge of breaking new ground in asthma care by extending more services to needy children in rural parts of the state. 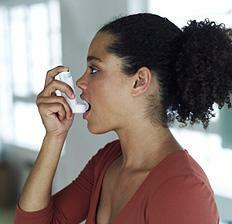 The additional services would include specialists to inspect more homes to pinpoint asthma triggers. They would also supply educators to show families and health providers how to identify and reduce the triggers, and to help asthmatic children manage their condition. 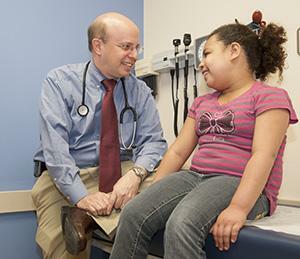 St. Louis area pediatricians will soon have help managing asthma care for their patients. The American Lung Association is implementing a program here to improve the system that primary care clinics use to identify and treat the disease.